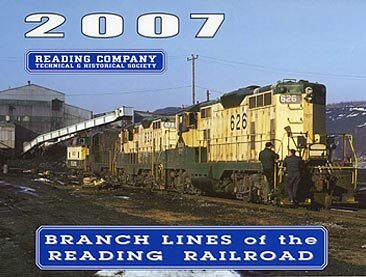 The RCT&HS Year 2011 railroad calendar is now available, and the theme for this year is “Reading Railroad Photos by George W. Gerhart, II.” The late Mr. Gerhart was a talented railroad photographer who traveled all over the country, but who grew up in Robesonia along the Reading's Lebanon Valley Branch, hence his earliest photos included many fine pictures of the Reading. 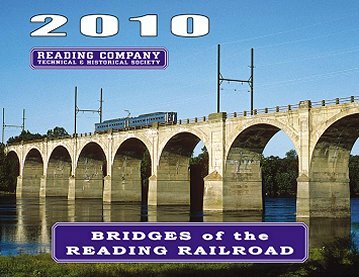 For the 2011 calendar, we chose just a few of the best, including eight color pictures and five black & white pictures, showing steam and diesel locomotives, trains, scenes, and structures in and around Reading, PA, Harrisburg, Robesonia, and Virginville. 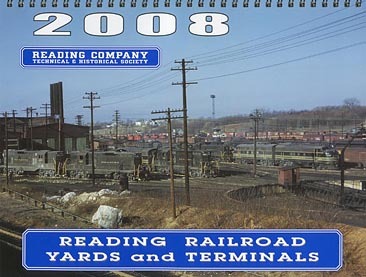 Each picture has a detailed caption, plus the calendar pages include dates of events in Reading Railroad history both important and obscure. 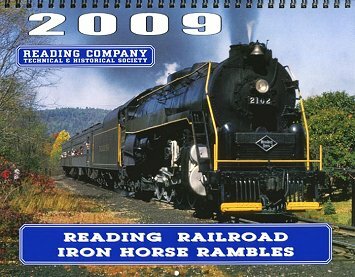 The 2011 calendar opens to an 11” x 17” size, and is wire-bound and printed on high quality glossy paper. 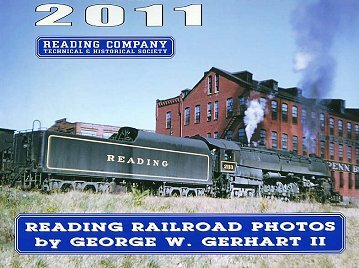 Net proceeds from sales of this calendar benefit our ongoing projects to preserve equipment and artifacts from the former Reading Railroad. Please order soon so as not to miss out on a full year’s enjoyment of these vintage scenes! The price is $10.00 each for Society members, $12.00 for non-members. Click here for an order form! 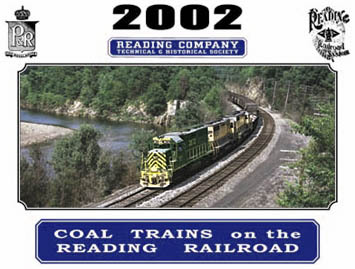 We have produced a Reading Railroad calendar every year since 1982, and descriptions of their photographic contents are listed here for reference. Most of these calendars were sold out long ago, but a few are still in stock as indicated below. They may be out of date, but the pictures are still timeless! 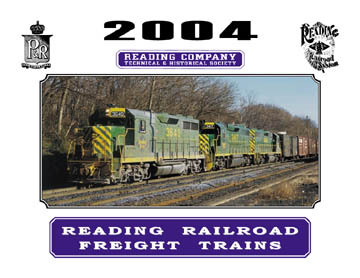 Please add $2.00 shipping for each calendar requested. 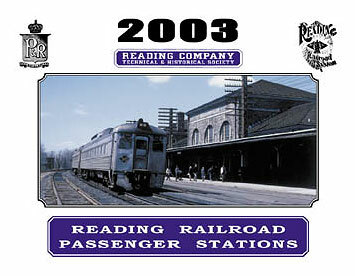 Our first calendar was just a single sheet with a photo of the station at Elverson, the RCT&HS’ home at the time. This extravaganza has ten color and 28 b/w photos all on Reading Terminal from its construction up through its last night of operation. A must-have for any fan of the Terminal! 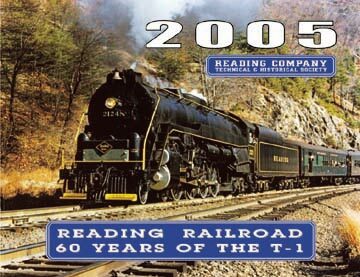 Produced with bigger pages than our usual calendars to celebrate the 100th anniversary of the Terminal. 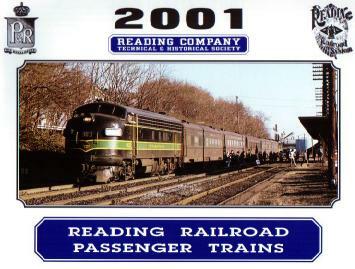 Alburtis, Birdsboro, Dillinger, Locustdale, Mine Hill Crossing, Phoenixville, Pottsville, Reading, Rutherford, Schwenksville, Shamokin, Tamaqua Tunnel, Topton, and Washington DC. 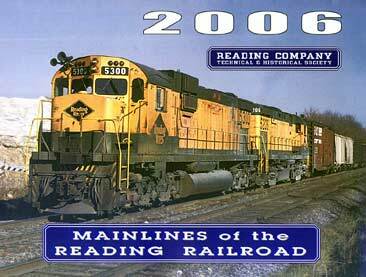 cranes, wreck trains, Jordan Spreaders, fuel trucks, track machines, speeders, scale test cars, and the tunnel inspection car. Index compiled by Rick Bates, Calendar Committee chair.